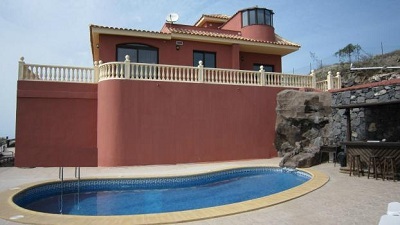 Villa Una is a stunning four bedroom detached villa in Los Menores. It has a private heated pool with amazing sea and countryside views. The villa also has a high level of privacy. The pool is surrounded by expansive sun terraces and landscaped gardens. There are ample sun loungers for all as well as a table and chairs for alfresco dining. Inside the villa has four bedrooms. There are 2 double bedrooms and 2 with twin beds. There are three bathrooms, two of which are ensuite. One of the bathrooms has a bath with amazing views. The living area is open plan and spacious and the kitchen is modern and fully equipped with a central island with hob and extractor fan. There are also modern day conveniences that you would expect to find in a quality villa, such as a dishwasher and washing machine, as well as a tall steel fridge/freezer. Modern fully fitted kitchen with oven, hob, extractor fan, dishwasher, microwave, fridge/freezer, washing machine, toaster, kettle and all cooking utensils, iron and ironing board etc.